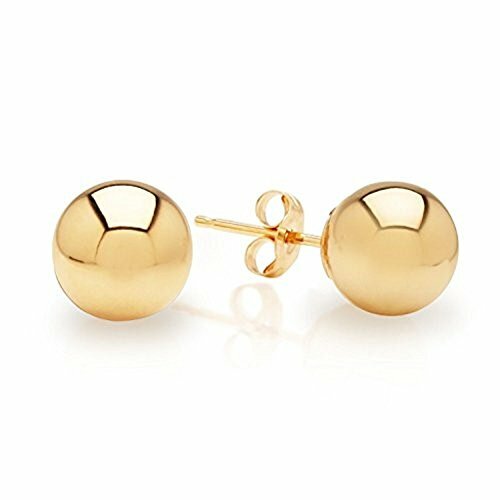 real 14K yellow gold ball stud earrings with solid post and real gold push-backs. this product comes with our 30 Day full refund policy. ball stud earring comes in pair and jewelry box included. If you have any questions about this product by MC Creations, contact us by completing and submitting the form below. If you are looking for a specif part number, please include it with your message.